Size: 8.75 x 13.75" (22 x 35 cm). 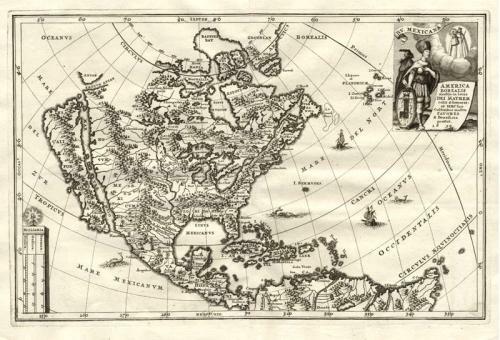 A general map of North America produced by Scherer to show the spread of Catholicism in the continent. This decorative map depicts a large Island of California with an indented top, interior mountains and only two placenames. The map is in excellent condition on clean white paper with no discernible faults.